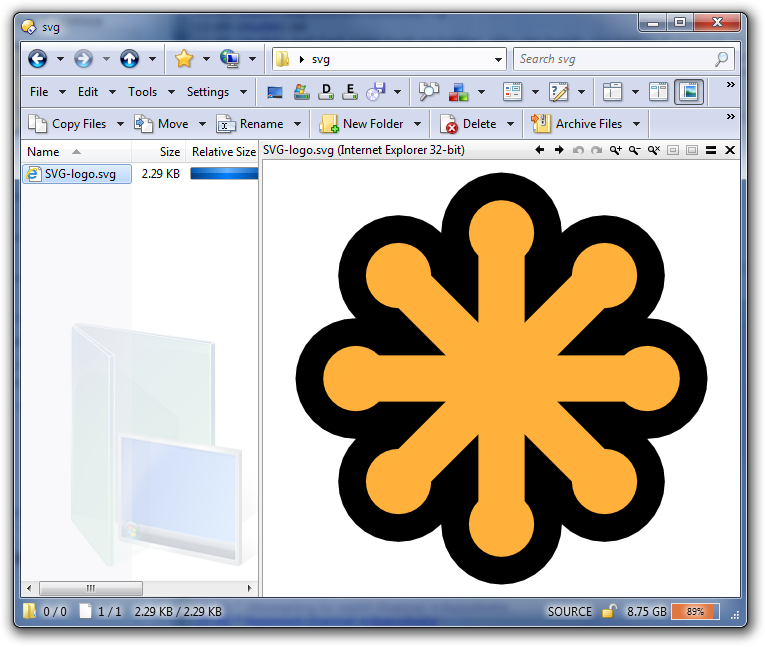 If you have Internet Explorer 9 or above, you can view SVG files in the Opus viewer pane. 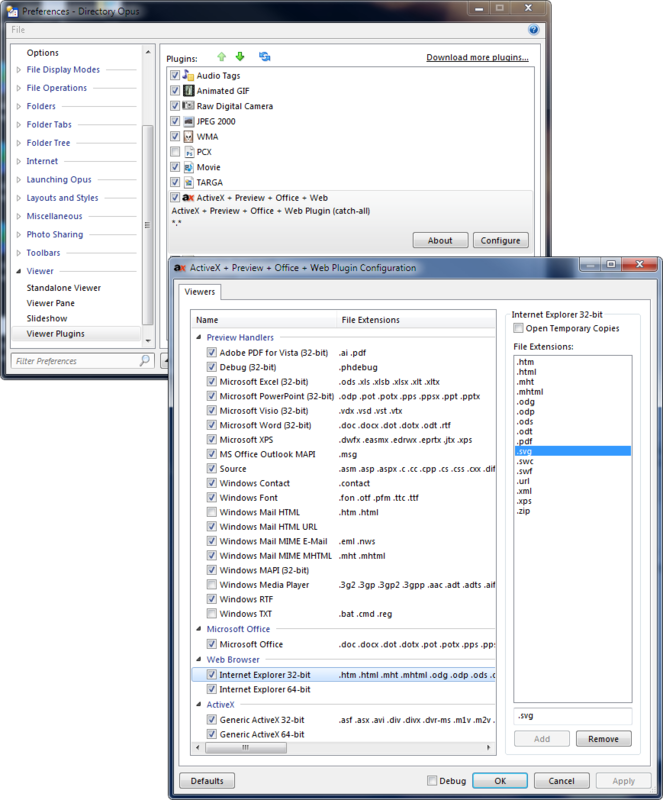 To do this, open the Opus ActiveX plugin configuration, select the "Internet Explorer" line near the bottom, then add .SVG to the list on the right. Note that this only affects the viewer, not thumbnails. There may be thumbnailers for SVG out there, though.